Our auction will take place on Wednesday 17th April 2019 (2.30pm) at The Centenary Suite of Nottingham Racecourse. 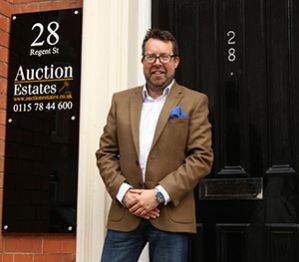 If you are thinking of selling your property and would like a free, no obligation opinion on its suitability for auction then please do get in touch. "We very much look forward to working with you in what is a very efficient and fast moving sale process which offers both speed and certainty to both buyers and sellers."